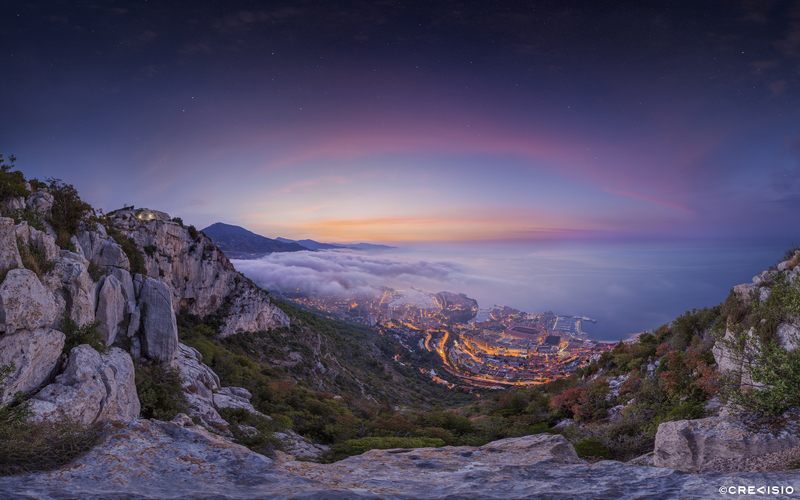 Early summer morning twilight sunrise over the Principality of Monaco. A mystic layer of fog covered the small state, but slowly started to disappear and reveal more of the city as the sunrise came closer. The full resolution of this 73 megapixel panorama is 10,809 x 6,756 px at 300 dpi, thus suitable for larger yet detailed prints or displays. You may download a copy for personal use by clicking the photo or on the full version link beside. For commercial use of this photo, contact Crevisio directly.